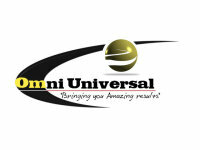 Omni Universal is a Logistic, Capital, and Business Consulting company. Building on more than 21 years of experience , we are committed to accommodating the world's consumption need in a responsible manner, applying technology and creating innovative business solutions. We will grow your business.